As Orange County’s first chemical dependency recovery hospital, Laguna Treatment Hospital provides research-based clinical and support services for adults suffering with drug and/or alcohol addiction and co-occurring mental health disorders. The hospital has the expertise to care for most patients, including those who are medically compromised and require 24/7 medical care through its unique medical model for addiction treatment. With a staff of more than 70 addiction professionals, registered nurses, an advanced level yoga instructor/therapist, recreational therapist, and a crisis counselor/therapist, Laguna Treatment Hospital provides all levels of care from medical detox to intensive outpatient treatment. The hospital is also known for its high-end, hotel-style rooms and therapeutic setting, ideal for helping patients get on the path to recovery. Laguna is the first hospital-based program that provides a full continuum of care in Orange County, California. The continuum of care services include inpatient services and outpatient services with assistance finding transitional supportive housing. Populations considered for treatment at Laguna include: those with Hepatitis C, HIV/AIDS, COPD, dialysis patients, pregnant women, and those with chronic pain. The board-certified psychiatrists and doctors on staff are able to evaluate for co-occurring disorders and to prescribe medications if necessary. Laguna is equipped to care for medically compromised patients and patients with physical health challenges. The medical director will review medical records prior to admission and determine if Laguna’s sub-acute environment is equipped to treat the presenting medical problem in conjunction with the addiction to drugs. If you are diabetic, you will receive a nutritional consult from a registered dietitian. The nursing staff will help you monitor your blood sugar, administer insulin if needed, and provide you with lots of education about a healthy diabetic diet. The chef knows that when you come in with certain conditions, he needs to design a specific diet designed for you. If you are pregnant, we will treat you for your substance abuse and also will help you get the care you need for a healthy pregnancy. We will make appointments for you to visit an OBGYN as appropriate, and the medical and nursing staff at Laguna will monitor the health of you and your baby as needed. We will help you find parent education courses and prepare you for how to care for an infant that may be dependent on the substance(s) you were struggling with while pregnant with him or her and/or that may be suffering from other complications resulting from being exposed to drugs in utero. If you suffer from pain issues, non-opioid medications that can be used for pain management include gabapentin, Lyrica, and NSAIDs (such as Mobic and diclofenac). If we deduce your pain is related to an underlying issue such as a traumatic injury, neurological issue, or orthopedic issue, we may refer you to outside specialists or physical therapy (at your expense) to ensure you get the appropriate care and that you are as comfortable as possible during your treatment. At Laguna, our treatment team of professionals consists of 4 cases managers who are certified drug/alcohol counselors, 6 primary licensed or license eligible therapists, board-certified physicians and medical staff (physician assistant and nurse practitioners), registered nurses, an advanced level yoga instructor/therapist, recreational therapist, and a crisis counselor/therapist. Our clinical team is staffed with master-level professionals and certified substance abuse counselors. Our clinical director, Dr. Tristen Winston is a licensed clinical psychologist with extensive experience in both substance abuse and mental health issues. A high staff-to-patient ratio helps optimize individualized patient care, and approximately 40% of Laguna’s direct patient care staff is in recovery. Laguna Treatment Hospital has staff members available to communicate in American Sign Language and Spanish. The Joint Commission Laguna Treatment Hospital is accredited by The Joint Commission for Behavioral Health Care, an internationally-recognized symbol of healthcare quality and the gold standard of care for the industry. This accreditation signifies that, through external, unbiased evaluation, we have met or exceeded The Joint Commission’s standards for providing addiction treatment for all of the levels of care offered at Laguna Treatment Hospital, including high acuity medical detox. 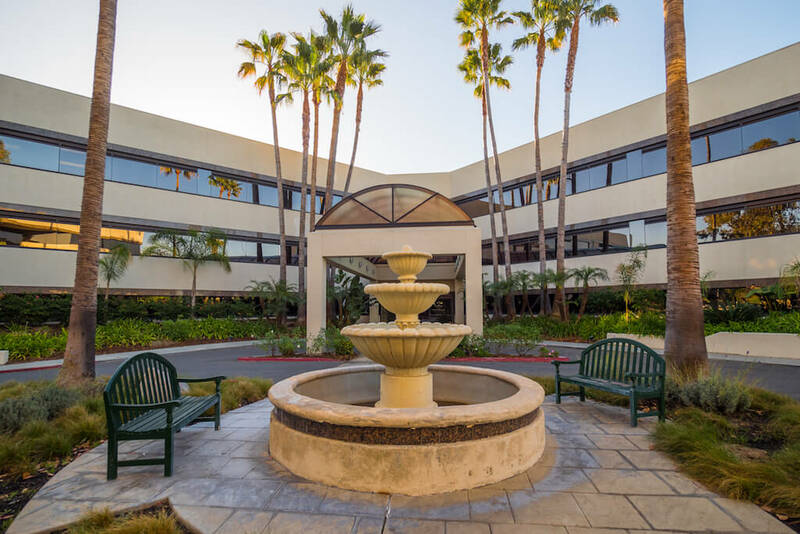 Chemical Dependency Recovery Hospital (CDRH) Laguna is currently the only facility in Orange County, California, licensed as a subacute care facility/Chemical Dependency Recovery Hospital (CDRH). Hospital licensure designation is a significant differentiator. A majority of California residential detox programs are licensed by the Department of Health Care Services. Laguna Treatment Hospital is licensed by the California Department of Public Health and is unique in that we offer medically supervised detoxification services with withdrawal management, daily medical rounds, 24/7 nursing care and medication administration. Read our Rehabs.com 360 Guide. Rehabs.com 360 Guides provide an objective evaluation of all that a treatment facility has to offer. These guides leverage proprietary data and offers relevant information to support individuals’ decisions to choose the treatment center right for them.